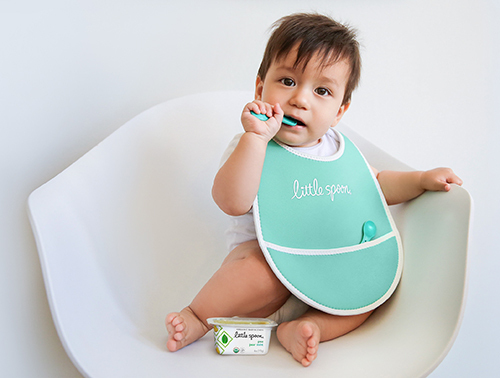 Little Spoon is a fresh baby food and early childhood nutrition brand focused on helping you ensure your child is set up for a lifetime of success -- starting with their first bites! Did you know that the baby food sold on the grocery store shelf has been sitting there longer than your baby’s been alive? Turns out grocery store baby food is processed so heavily that it can last for years, and, as a result, has little nutritional value by the time it gets to your baby’s belly. This is a problem, since quality nutrition during the first 1,000 days of your baby’s life is one of the most important things you can do to ensure his or her lifetime success and health. Unlike the shelf-stable varieties, Little Spoon makes fresh, nutritious baby food using over 80 organic ingredients blended together for healthy development -- without the use of additives, preservatives, or any other B.S.. On top of that, each baby gets his or her very own nutrition plan to help guide their eating journey. And for added convenience, they then deliver the ready-to-eat Babyblends straight to your door! Tryazon will select 100 hosts for this opportunity. Those chosen will receive a party pack with an assortment of Little Spoon Babyblends to showcase and sample with friends and family. Every party will have the chance to come up and submit your very own recipe for the next Little Spoon Baby Blend! One lucky recipe will be selected by Little Spoon for testing and spotlighted on Little Spoon! Learn more about the products and party by clicking the tabs below! Little Spoon - First Bites Matter Party Host Guide to help you plan and carry out the party! Discover more flavors HERE . The fun begins in December, when parties will be hosted! Little Spoon is one of the first foods Dallas ate and she absolutely loved all of the flavors! After reading that most baby food has been on shelves had been there as long as Dallas has been alive, I decided I needed to be more conscious about what I feed her. Little Spoon’s food is fresh and packed with the nutrients that Dallas needs in order to grow strong and healthy.